Experts at Simonton Windows offer timely tips for homeowners to enhance the energy efficiency of their windows and doors during October’s National Energy Awareness Month. Energy-efficient upgrades in this home, which feature Simonton windows, are anticipated to reduce energy usage of the 1996 home by more than 50 percent. This year marks the 21st anniversary of October as National Energy Awareness Month. Experts at Simonton Windows, ranked “Highest in Customer Satisfaction with Windows and Doors, Three Years in a Row” by J.D. Power and Associates, offer a variety of tips for consumers who wish to perform a window and patio door “check-up” to gauge the energy efficiency of these products in their homes. “Virtually every building component in a home needs to be replaced at some point, and windows are no exception,” says Gary Pember of Simonton Windows. “We’d like to think that our roof, siding and windows will last forever, but they won’t. Tip #1 - Examine the inside of your windows and patio doors for hot and cold “drafty” spots (or drafty areas). This indicates air infiltration which can lead to reduced energy efficiency. Tip #2 - Check every window and door to make sure there is adequate weatherstripping and caulking around the units. This helps eliminate air infiltration and ensure a weather tight, secure seal. Tip #3 – Look for “burnt out” or faded areas on your furnishings and carpeting. This could indicate harmful, damaging UV rays are entering your home through your windows or doors. 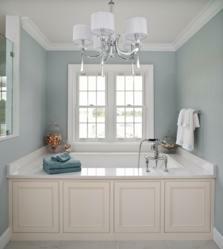 You may want to consider replacement with more energy efficient units containing Low E coatings on the glass. 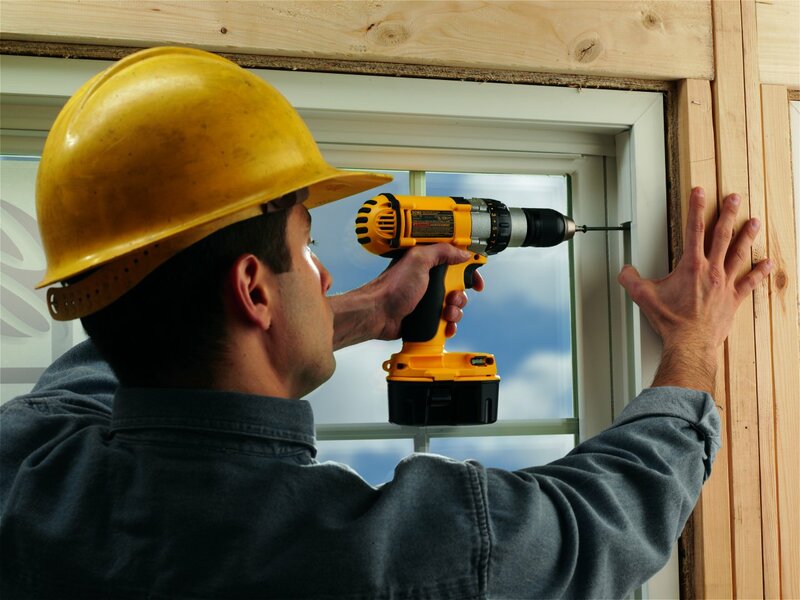 Tip #4 – If your windows no longer open or close easily--or if they need to be propped open--it could mean key components within the units are damaged or need adjustment. It could also mean the unit needs to be replaced entirely. Tip #5 – Check the “fit” of your current windows or patio doors by having someone stand outside the units at night. With a small flashlight, stand inside and “travel” around the edge of the units. If the person outside sees light coming through the edges, this indicates a poor installation and is resulting in energy loss. If your evaluation turns up one or more problem areas, it may be time to consider replacing your windows or doors. Be sure to contact an experienced window installation professional, such as a Simonton ProNetwork member. Vinyl is an excellent insulator and many people choose low-maintenance vinyl frames with an Argon or Krypton gas fill and Low E glass. These harmless gasses are denser than air and serve as an excellent thermal barrier. These components all work together to reduce thermal conductivity, or the transfer of heat and cold through a window. Visit http://www.simonton.com/Information/EnergyEfficiency/ for more details on energy-efficient glass options. 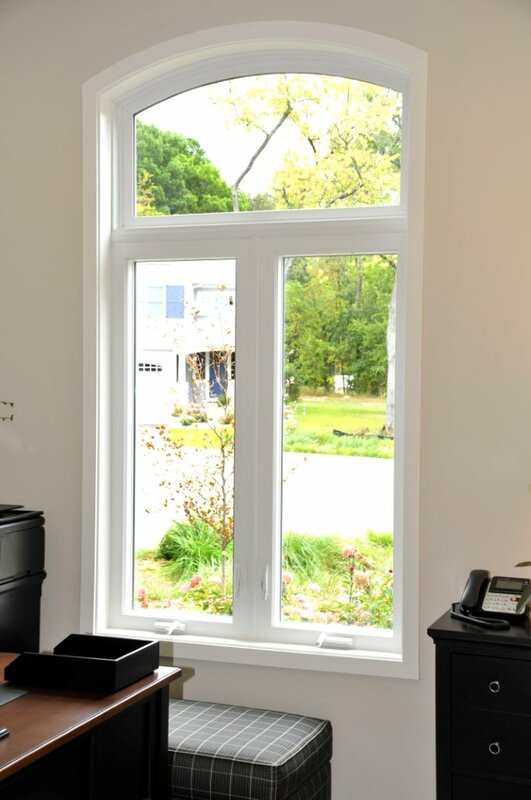 U.S. Department of Energy experts have put together a three-step checklist of information for homeowners considering a window replacement project. Start by considering the design of your home and the climate in relationship to the energy performance of the windows you select. 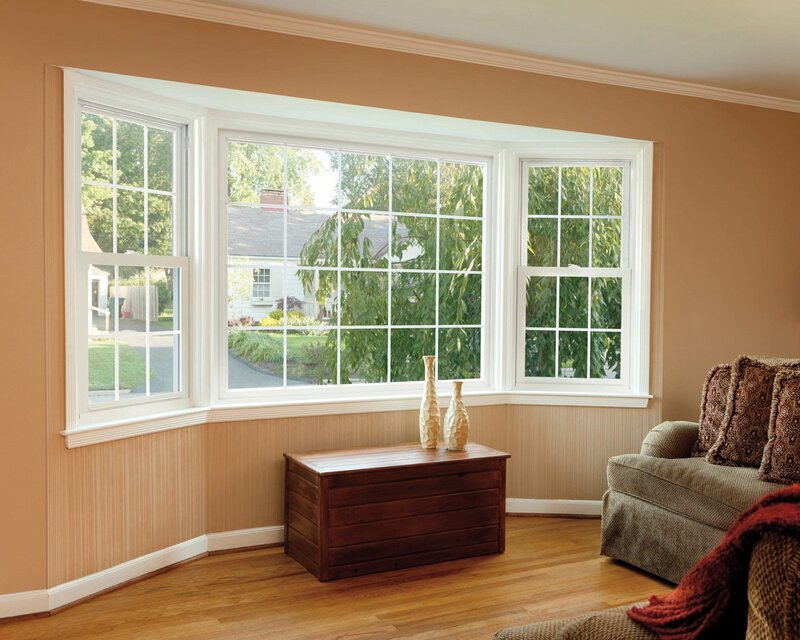 Next, select windows that meet your energy performance requirements. Finally, take the steps necessary to ensure the proper installation of windows to maximize their energy efficiency. In-depth details on these three steps can be found at http://www.energysavers.gov/your_home/windows_doors_skylights/index.cfm/mytopic=13340. At the ENERGY STAR website, homeowners can also find a comprehensive “What You Can Do” checklist (http://www.energystar.gov/index.cfm?c=energy_awareness.awareness_you_can_do) that includes a free five-minute home energy assessment for the home (https://www.energystar.gov/index.cfm?fuseaction=HOME_ENERGY_YARDSTICK.showGetStarted). And, for an online view of potential cost savings when upgrading to ENERGY STAR windows for the home, visit https://www.energystar.gov/index.cfm?c=windows_doors.pr_benefits. For more energy saving ideas visit http://www.energystar.gov or http://www.efficientwindows.org. And, for free booklets on energy tips and selecting replacement windows, call 1-800-SIMONTON. Simonton Windows produces ENERGY STAR® qualified replacement and new construction windows and doors, including a line of impact-resistant products. Simonton has been ranked “Highest in Customer Satisfaction with Windows and Doors, Three Years in a Row” by J.D. Power and Associates. Simonton was also ranked #1 in quality in the 2009, 2007, 2002 and 1998 Brand Use Studies sponsored by Builder magazine and has won three Best In Class Awards administered by LBM Journal Research Institute. 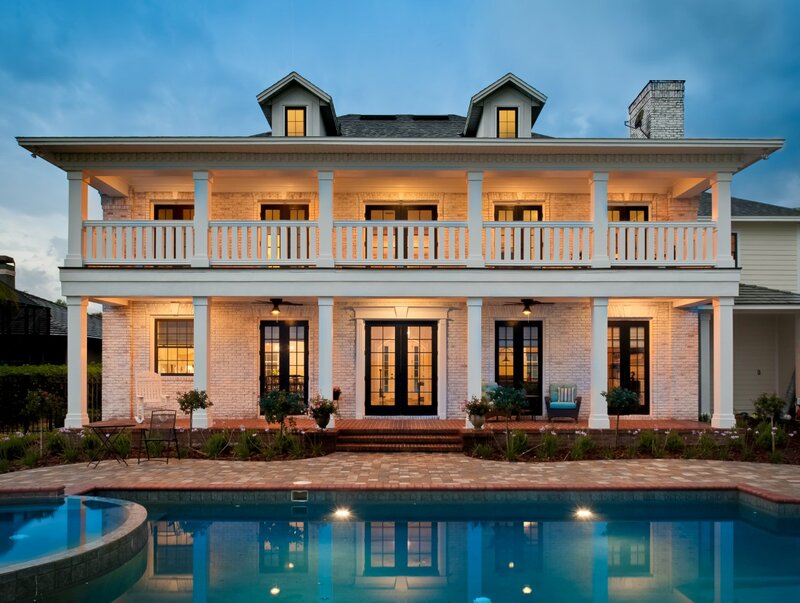 Simonton Windows received the highest numerical score among window and door manufacturers in the proprietary J.D. Power and Associates 2010-2012 Windows and Patio Doors Satisfaction StudiesSM. 2012 study based on responses from 2,519 consumers measuring 11 brands and measures opinions of consumers who purchased new windows or patio doors in the previous 12 months. Proprietary study results are based on experiences and perceptions of consumers surveyed in January – February 2012. Your experiences may vary. Visit jdpower.com. 2012 Cool Energy House constructed using Simonton energy-efficient windows. The inside of the home stays safe, quiet and secure with a SafePoint glass window package from Simonton Windows. Contractor installing Simonton windows on jobsite. Energy-efficient Asure replacement window by Simonton Windows.